The office of the president-Elect, Adama Barrow has once again issued a statement calling for the general mobilization of the people to attend the inauguration ceremony on 19th January, 2017. Giving an update on the country’s current political situation, the statement highlighted that the office of the president-elect stands by the principle that Adama Barrow’s Election as President of the Republic of The Gambia stands and as such is calling on Gambians to come out for the Inauguration. The office of President Elect Barrow wishes to convey the assurance of its highest esteem to Ex–President John Dramani Mahama for demonstrating the political will to uphold the verdict of the Ghanaian people, after losing the 7th December 2016 pollsby handing over Executive power to President Nana Akufo Addo in a peaceful manner within the 30 day transition provided by the Ghanaian Constitution. This is the Democratic culture of peaceful transfer of Executive power that is being nurtured in the member states of ECOWAS. In contrast, the peaceful transfer of Executive power in Gambia, which held its Presidential Elections on 1st December 2016 and which should take place when the term of office of the incumbent ends, is still a subject of discussion by Gambians, in particular, and the International Community, at large. The Office of the President-Elect has made it absolutely clear that the exercise of right to file an election petition by the loser does not deprive the winner the right to prepare for his inauguration as President of the Republic on 19th January 2017 after the term of the incumbent expires. It should be abundantly clear that it is neither in line with law nor common sense for a loser to have the right of the victor suspended until an election petition is heard. The right of a victor to be sworn in as President and the duty of an incumbent to leave office when one’s term ends are not invalidated by filing an Election Petition. The Office of the President- Elect stands by the principle that Adama Barrow’s Election as President of the Republic of The Gambia stands and is calling for the general mobilisation of the people for the inauguration on 19th January. The status and outcome ofan Election petition are unknown and indeterminable before the completion of any court process and should therefore be regarded as a peripheral issue which should not hamper any preparation for the inauguration. The current effort by the loser to use the court case as a tool to mobilise his supporters to give the impression that they have been cheated of victory is contributing to the fear that he is not ready for a peaceful transfer of power. This is why some countries are issuing travel advice and some people are also relocating. 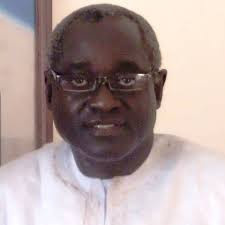 The ECOWAS Authority, however, has clarified its position so that no one would claim that they are siding with anyone in The Gambia other than the Gambian people, whose verdict must be respected. The Chairperson of the Authority stated among other things at the inauguration of President Nana Akufo Addo of Ghana that “ECOWAS perhaps faces the most difficult situation in The Gambia….After accepting he lost the election, President Jammeh…..questioned the results of the election.He has submitted his grievance to the Supreme Court which will start its review process on January 10. ECOWAS is closely following the process and the President of the Federal Republic of Nigeria is leading the effort as ECOWAS mediator. It is clear that ECOWAS stands for mediation. Force only comes when Gambians are at each other’s throat and when power is taken or maintained unconstitutionally. Hence, the Office of the President-Elect is calling on ECOWAS to speed up the coming of President Buhari to explore peaceful ways of solving the impasse. It is evident from the visits of the Religious, Civic, Business, Traditional and Community leaders; the solidarity messages from NGOs, the demonstration of political will by Gambian Ambassadors and the general mood of the people in the street that most Gambians want the incumbent to hand over political office in peace. The first duty to be shouldered by the incumbent to prove that he stands for peace is to tell the people that he will leave office when his term expires and would hand over to the person declared elected by the IEC at the end of his term. He should then add that he has filed a petition in court whose outcome and effect would be communicated to the public in due course. This should have been followed by declaration by security chiefs of readiness to pay obedience to any civil authority that emerges out of Electoral processes in the Gambia. Such messages would have gone down well with the Gambian population and the world. The current mobilisation for an uncertain court case is sending the wrong signal. “The U.S. Department of State has warned U.S. citizens against travel to The Gambia because of the potential for civil unrest and violence in the near future. On January 7, 2017, the Department of State ordered the departure of family members and authorised the departure of all employees who need to accompany those individuals from the country. The security situation in The Gambia remains uncertain following December 1, 2016 presidential elections. On January 10, the Supreme Court is scheduled to hear the current president’s petition contesting the election results, which is a potential flashpoint that could lead to civil unrest. The sitting government has begun taking restrictive measures, which include shutting down and restricting radio stations, and making politically motivated arrests. The Economic Community of West African States (ECOWAS) has stated it may intervene if the president does not step down by January 18. The Office of the President-Elect therefore is of the view that no Gambian would have the moral authority to claim to love the Gambia by subjecting her people to unrest while other nationals are safeguarding their own people from unrest. No single Gambian could violate the peace of the country if all Gambians, civilian and military, stand for peace. Only the commitment of each to the principle of One Gambia, One Nation and One People could ensure the peace of the country based on democracy and justice. Our citizens have no other home to run to. Gambia is their home land. Leaders come and go but Gambia remains. The road to peace is clear. The incumbent should recognise the right of the President-Elect to assume office whenever his term expires while pursuing his court case as a private matter. He should also prepare all state institutions and agents to acknowledge such reality by paying due regard to the concerns of the Incoming administration. It is already judicial precedence to swear in a President while an Election Petition is filed challenging the validity of an Election. This is what happened in the case of John Dramani Mahama after the December 2012 Presidential Election in Ghana.The Petition was ultimately dismissed after he was already sworn in as President. Some people have alleged that the incumbent has security concerns. The Office of the President-Elect has demonstrated that any future Ex-President would have the same status as Ex-President Jawara. Hence, no excuse should be given for derailing the verdict of the people. The Office of The President Elect wants to assure the Gambian people its firm allegiance to the Gambia and obliges everyone associated with the office to vow to be ever true to the homeland.